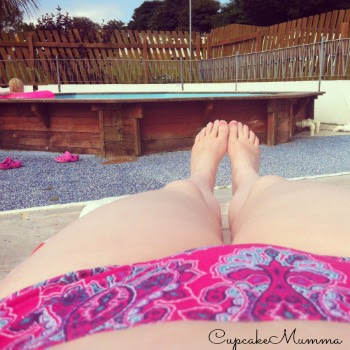 Cupcake Mumma: Back From Our Jollies! Yes we are back! 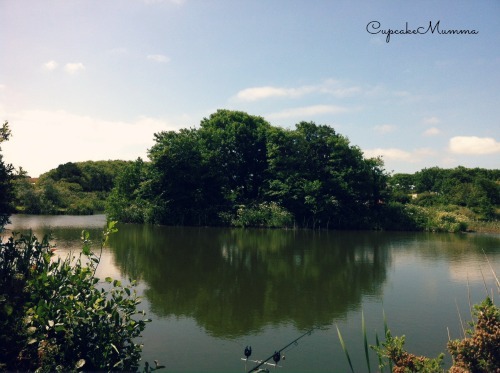 We holidayed in Newquay at the beautiful Trevella Park near Crantock beach,Cornwall. I love a good stay-cation but what I love even more is staying in my beautiful home county and finding out what's on my doorstep. We arrived in the late afternoon on Friday to find a clean and spacious caravan. I've never stayed in a static caravan before and forgot quite a few things so we headed to the on site shop as soon as we could! After that it was all about the pool until bedtime! We woke up the next morning to one of the hottest weekends I think we'll have in July! 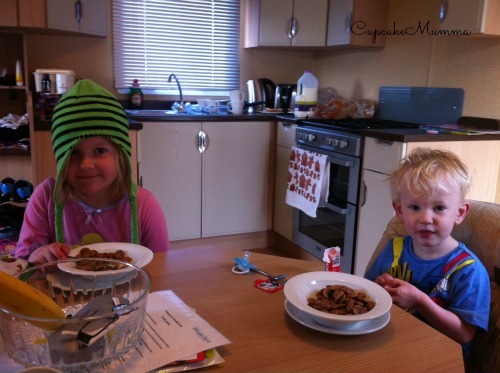 We started with a family breakfast with 2 excited children looking forward to their Ranger Adventure with Wayne who works on site. Wayne introduced himself and we met another lovely couple before we set off for just over an hour of nature fun! The Ranger Adventures is a new addition to Trevella Park offering your little ones a chance to get up close and personal with the bugs and small creatures of the park's beautiful surroundings. Here is Wayne showing the children a vole. None of the animals are harmed at all when they are trapped hunting for food and Wayne knows exactly what he's doing. The children loved seeing such a small creature up close and with more luck, next time we'll see more! We ended the trail with leaf rubbings, looking through magnified tubs at mini beasts and ticking off all the creatures,leaves and plants we'd found along the way. 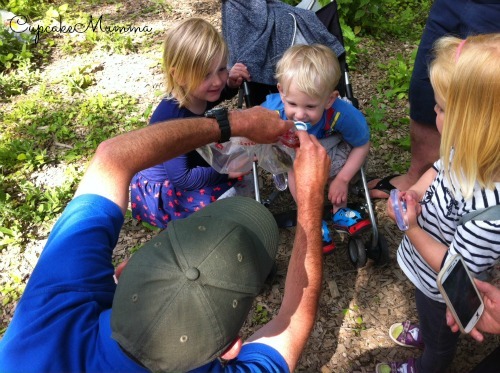 The Ranger Adventures will also include pond dipping, fishing, den building and much more for various ages (and adults! I had great fun!) Sessions start from the end of July so do ask at the reception when you arrive! We spent Sunday relaxing on site, enjoying the heated pool which was amazingly refreshing, venturing into Newquay town where we visited a handmade market and found a mini carnival! Midge played on the bouncy castle and we sat overlooking some gorgeous views from the cliffs. The beautiful view of one of the parks lakes. We also got to meet Ollie the Owl who lives on site very happily watching the world go by. 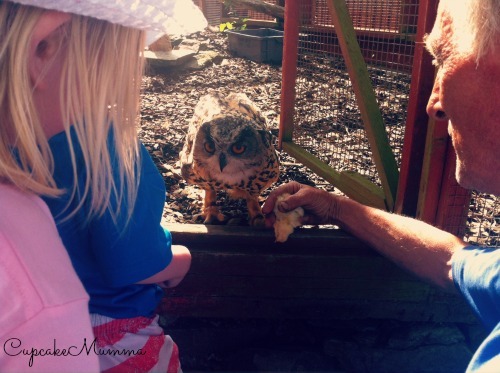 We were extremely lucky to be offered to see him be fed and for that I am very grateful because the children adored him! On Monday we enjoyed Newquay Zoo! (Yes we loved the park so much we paid to stay an extra night!) 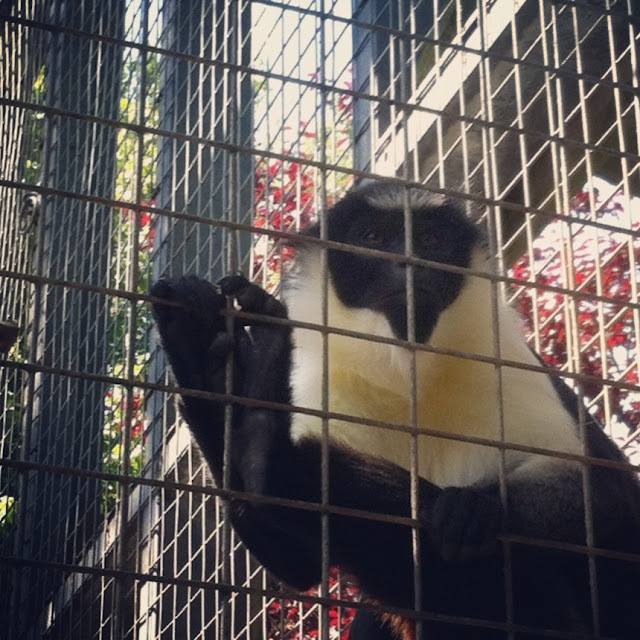 Called Cornwall's largest zoo, it is packed with birds, otters, meerkats and of course your monkeys and lions. The zoo is not a large zoo when compared to other zoos in the country so do bare that in mind when visiting or you'll feel disappointed like a few people I spoke to. We however had a lovely time and enjoyed the fact that the trails weren't too long and the park wasn't so big we missed anything. I think it's fair to say that we enjoyed our little get away and had a lovely stay. I can honestly recommend this park and we can't wait to go back next year! *We were offered a 3 night stay at Trevella Park for the purpose of this review. We paid for the fourth night ourselves. As always the opinions expressed in this post are all of my and/or my families own. It really was a fabulous weekend. We had several happy holidays in Newquay when my kids were small, but you do need good weather. Pleased you enjoyed your stay.